Rowan Stringer, 17, was captain of her Ottawa high school rugby team in 2013 when she died after a head injury on the field. 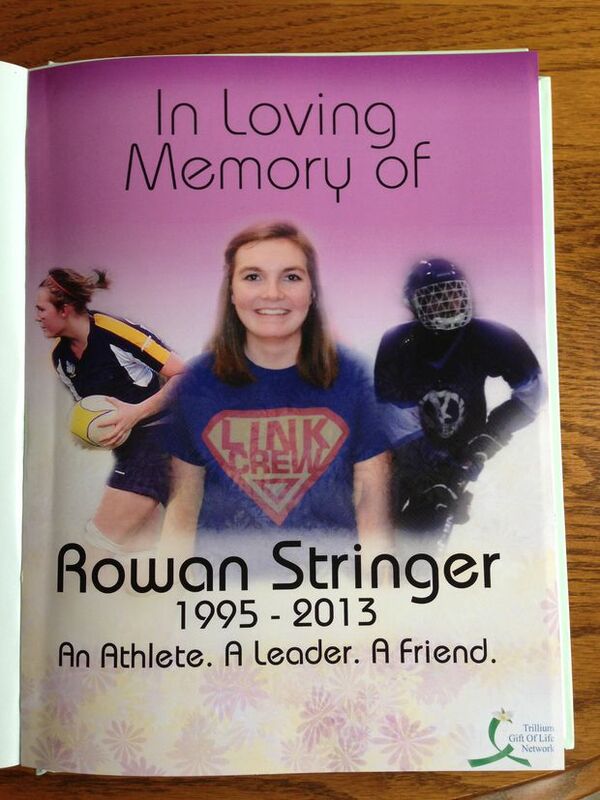 Her case led to new concussion safety legislation in Ontario, named Rowan's Law in her honour. Rowan Stringer was the captain of her school rugby team, and the 17-year-old student at John McCrae Secondary School in Ottawa took the job seriously. She felt a responsibility – some might say an obligation – to always take the field, even when she wasn’t feeling 100 per cent. In the five days before her catastrophic final brain injury, she suffered two concussions during the course of two games but kept playing. No adult recognized, or was even aware, of these injuries. Ms. Stringer knew something was wrong and texted her condition to her friends, but she did not reveal her symptoms to her coaches or parents. The fatal blow was delivered during a game on May 8, 2013, when she was upended and thrown, head first, to the ground. She quickly lost and never regained consciousness. When I was Ms. Stringer’s age, I played for the senior hockey team at Forest Hill Collegiate Institute in Toronto – the Falcons. I was an extremely mediocre player, but I loved the camaraderie, the thrill of the game, the strategy, the physicality. It was a memorable time in my life, and I loved the sport deeply. But when I began my neurosurgical practice, I was confronted with the terrible side of sports – life-altering injuries to the brain and spinal cord. I looked after rugby players with broken necks and teenage hockey players whose spinal cords were irreparably crushed. I did not know before then that playing hockey could put a young person in a wheelchair for the rest of his or her life – often the result of being struck from behind and catapulted into the boards. It was a hard lesson to learn, but one I learned time and again. Eventually, I began to research catastrophic injuries in sports and recreation in Ontario. With the help of the coroner’s office and an army of physicians and surgeons from across the province, we collected 2,154 cases of such injuries that occurred between 1986 and 1995, including 631 fatalities. Data on all 2,154 injuries, including our recommended prevention strategies, was published in 2008 by the University of Toronto. Medical science has improved since then, but for most catastrophic injuries to the brain and spinal cord, prevention remains the only cure; we have still not learned how to put all the broken pieces together again. What does this have to do with the life and death of Ms. Stringer? Reports of her death reached me not long after she sustained her fatal brain injury, and they rattled my temporal lobes. It did not make any sense. The 911 call from the field was expeditiously answered. Emergency personnel arrived on the scene within minutes to provide resuscitation and transport to Ottawa’s Children’s Hospital of Eastern Ontario, where a highly skilled team immediately sprung into action. Despite modern neurosurgical care, promptly administered by a team of experts, Ms. Stringer could not be saved. X-rays, MRIs and CT scans are ineffective at finding signs of concussion in the brain, putting an onus on patients to report their symptoms and on doctors to recognize them. Learn more about how concussions work in the graphic at the end of this column. Concussions are considered a significant public-health concern in Canada; they occur in large numbers, and the recovery time varies between cases – if the patient recovers at all. Concussions may go undiagnosed, especially when symptoms sometimes only appear hours or days after the injury, because concussions still cannot be spotted on X-rays, MRIs or CT scans. Unfortunately, scientists and health-care professionals are playing catch-up with the entire spectrum of concussion disorders, ranging from concussions at one end to post-traumatic brain degeneration (chronic traumatic encephalopathy, or CTE) at the other. We have learned that health-care professionals must be trained to recognize the symptoms of concussions and diagnose them. We now know that it is essential for those injured to report their symptoms, which can range from headaches to insomnia to depression (there are about 60 symptoms of concussion). The concussion spectrum also includes extremely debilitating conditions, such as postconcussion syndrome, and fatal ones, such as second-impact syndrome, a diagnosis so rare that even many experienced clinicians have never seen a case – and some even doubt it exists. There have been fewer than 50 confirmed, published cases of this condition, and it is noteworthy that almost all were young athletes – either teenagers or men and women in their early 20s. In most cases, the result is death. In general, too little research has been done to know the exact mechanisms that occur in the brain to make second-impact concussions so lethal. The imaging and pathological features of the condition are massive swelling and displacement of the brain in several directions, but especially downward. It is uncertain what the antecedent concussion unleashes to make the brain so vulnerable to another hit. For obvious reasons, in only a few of these 50-odd cases have we had accurate descriptions of the concussions that occurred in the hours, days or weeks before the final, catastrophic brain injury. Yet we know that, somehow, previous concussions set the stage for the massive brain swelling that ensues. Was this, I thought, what happened to Ms. Stringer? Rowan holds the ball at a 2013 game. Two years after her death, an inquest was held in Ottawa where her parents, teammates and health-care professionals testified about the events leading up to her fatal injury. I do not know if I was the first person to call for an inquest into Ms. Stringer’s death, but I was probably the most persistent. Although inquests are very time-consuming, not to mention costly, and can be terribly traumatizing for those involved – families and friends must relive horrific events, with the added burden of doing this in front of an audience of strangers – years of experience led me to conclude it was the only way to figure out how and why Rowan died. In October, 2013, I wrote to Louise McNaughton-Filion, the regional supervising coroner in Ottawa. She is highly intelligent and informed, concerned and engaging. My next step was to speak to Ms. Stringer’s parents. I quickly learned that Gordon and Kathleen Stringer were not only loving and grieving parents, but bright, generous, public-spirited and heroic. Right from the start, their view was clear: If it could possibly help someone else, they would do whatever it took. That attitude was shared by so many others involved in the inquest, including Dr. McNaughton-Filion, who became the presiding coroner in charge of the inquest; Mark Moors, the Crown attorney assigned to it; Ottawa Police Detective Sameer Sharma; and the five superb jurors chosen for the inquest – for which I had a front-row seat, having been chosen by the coroner to serve as the inquest’s expert witness. My job was to help determine what happened to Ms. Stringer and, perhaps more importantly, how the public can take measures to prevent another death on the pitch. During the next several months, I reviewed a massive volume of records and conferred with the coroner, Crown attorney and police detective. Afterward, I wrote a 10-page report to help guide the coroner and jury and, finally, I appeared as a witness at the inquest, which was held in Ottawa from May 19 to June 3, 2015. Other witnesses included her parents, teachers, friends, coaches, referees and rugby officials. The jury also heard from the health-care professionals who valiantly treated her, including the emergency medical crew who were summoned to the rugby field by a 911 call and found her lying on the ground, unconscious, as well as Michael Vassilyadi, the neurosurgeon who attempted to save her life by performing a major operation to release the enormous pressure that had built up in her head and was causing her brain to herniate in several directions. Finally, evidence was presented by the neuropathologist who saw her brain during the autopsy and studied it thoroughly. While she was confiding in her friends, she kept her symptoms hidden from adults, even if she herself “googled concussion” in an effort to diagnose the cause of her symptoms. The inquest into Rowan's death came back in 2015 with 49 recommendations to the Ontario government to improve concussion safety. In the end, as a result of the inquest, it was determined the cause of death was indeed second-impact syndrome, a conclusion based on all the clinical and radiological evidence from her doctors and the autopsy findings of the neuropathologist. The inquest also established measures to help prevent another young athlete from dying from the consequences of repetitive concussions. While first-impact syndrome is not preventable – although it may be treatable if we discover the nature of the propensity in some young people for post-traumatic swelling – second-impact syndrome is entirely preventable. To prevent this type of catastrophic injury, players must speak. They must inform school officials and their teachers, coaches, referees and parents. After recognition and diagnosis of a concussion, safe management involves graduated return to play – and no return to full-contact play in collision sports until all symptoms have cleared. These are the hallmarks of modern concussion management. It is now well established, based on clinical experience, that the recently concussed brain is more vulnerable to subsequent injury if a second blow occurs prior to full clinical recovery from the first injury. In other words, if you play with a concussion, you are putting your life at risk. The inquest’s jury was marvellously intelligent, diligent and thorough. On June 3, 2015, they delivered 49 recommendations to the coroner for consideration for implementation by the three Ontario ministries involved (Tourism, Culture and Sport, Education and Health and Long-Term Care) in order to prevent further deaths and disability as a result of sports concussions. 1. Providing education on sport-related concussions to athletes, coaches and parents. 2. Removing a child or youth athlete from play if a concussion is suspected. 3. Ensuring the child or youth does not return to play until he or she has received medical clearance. 4. Ensuring appropriate return to learn and return to play strategies are in place. The act was to be called Rowan’s Law. In 2006, a Seattle-area high-school student named Zackary Lystedt suffered a near-fatal brain injury while paying football. The 13-year-old received a concussion earlier in the game, yet he returned to the field after only a few minutes. He collapsed, in his father’s arms, not long after the final whistle. After his injury left him with severe neurological deficits, his parents and doctors campaigned for laws to prevent this from happening again. Washington State’s “Lystedt Law,” passed in 2009, includes mandatory removal from a game or practice and examination by a health-care professional if a concussion is suspected, as well as mandatory concussion education for players, teachers, coaches and parents. Since then, similar concussion laws have been passed in all 50 states, but not in a single Canadian province or territory. There have been attempts. For instance, Bill 39, advocating concussion legislation, received its first reading in 2012, but the Ontario Legislature was prorogued at the time, and the next government did not reintroduce the bill. I have asked myself repeatedly whether Ms. Stringer would be alive today if that bill had received all three readings and had been passed into law. As an alternative to legislation, and recognizing the need to enhance concussion recognition and management, in 2014 the province’s Ministry of Education introduced a “policy and procedure memorandum” on concussions (PPM158). That made Ontario the first province in Canada to adopt such regulations in all public schools, although PPM158 did not cover private schools, universities and non-school sports venues and teams. After the inquest, Ms. Stringer’s parents joined the campaign to pass concussion legislation across Canada. 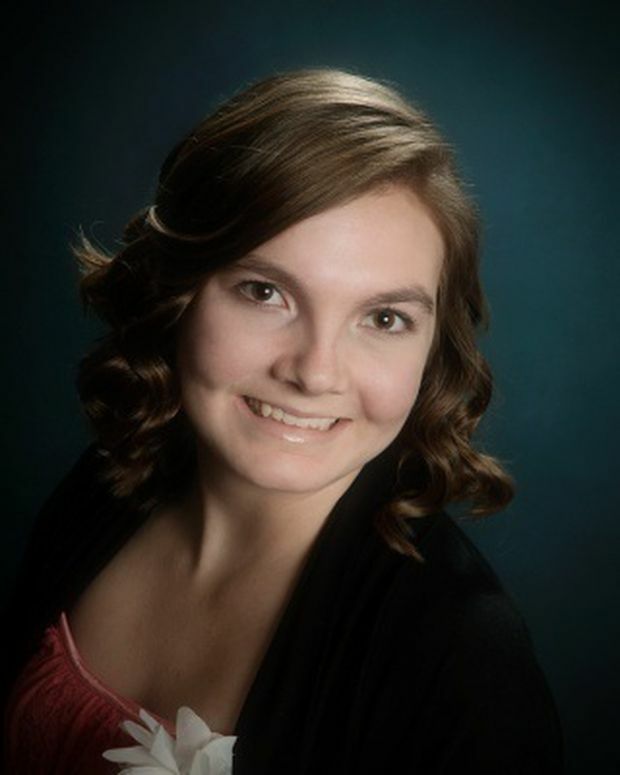 In Ontario, a private member’s bill to examine “Rowan’s Law” was introduced in December, 2015. I was there to support it. After the bill passed, a committee was founded, chaired by former coroner Dan Cass, and I was pleased to have been selected as a committee member, as was Gordon Stringer. The Rowan’s Law Advisory Committee met several times during 2016 and 2017 and completed its report in September of that year. Its No. 1 recommendation was that Ontario enact concussion legislation, which was introduced in the legislature on Dec. 14, 2017, and had its first reading the same day; the second reading followed in February, while the third and final readings occurred earlier this week, on March 6. The legislation will be tremendously helpful when it comes to recognizing and managing concussions. It will effectively spread the benefits of PPM158 to all non-school-based sports leagues and venues and to all school-based sports in Ontario, both private and public, including universities. It will also strengthen the principles established in PPM158. Indeed, the legislation and accompanying regulations will make those principles applicable to all non-school-based sports leagues and venues. While it began in tragedy, in my view, Ms. Stringer’s story has a happy ending. Countless athletes, young and old, will benefit from this legislation. It will make the playing field safer for athletes and will teach kids that players must speak if they suspect they have a concussion. I don’t know if this would have happened had Ms. Stringer not sent those texts to friends, in essence diagnosing the cause of her own death and, potentially, preventing others. I am a founding board member of Parachute Canada, which is a national injury prevention charity. At Parachute, we encourage children and teens to play sports, but we want them to play safely so that they live to play again. Although the cause of Ms. Stringer’s death is quite rare, concussions are all too common. Ms. Stringer’s story should be familiar to everyone across Canada, from amateur athletes to parents with children involved in sports. In death, she will save lives.